I have now removed your email address from our bounce list and it should now work fine. Do test your form again and get back to us if the issue persists. Meu cliente está muito bravo por não estar recebendo nenhum relatório em seu email ademir@conservice.com.br. Por favor, preciso de uma solução o mais rápido possível. Sorry for the inconvenience. I have re-checked the email in question and did locate the email in our bounce list. 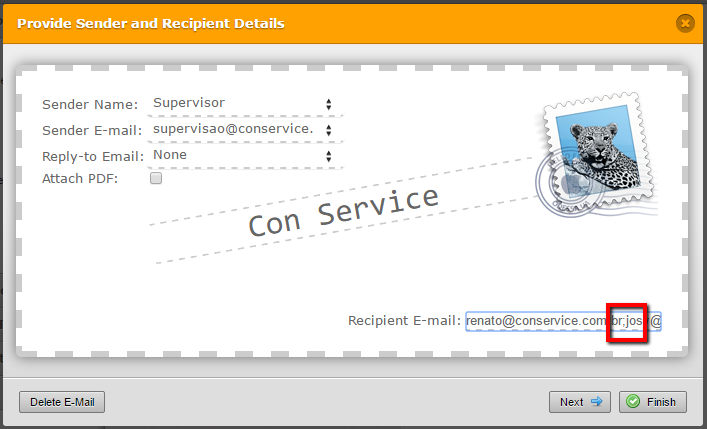 I also noticed that you setup a custom SMTP sender email. Can you try using one of our default sender emails. This could also be the reason it keeps going into our bounce list. 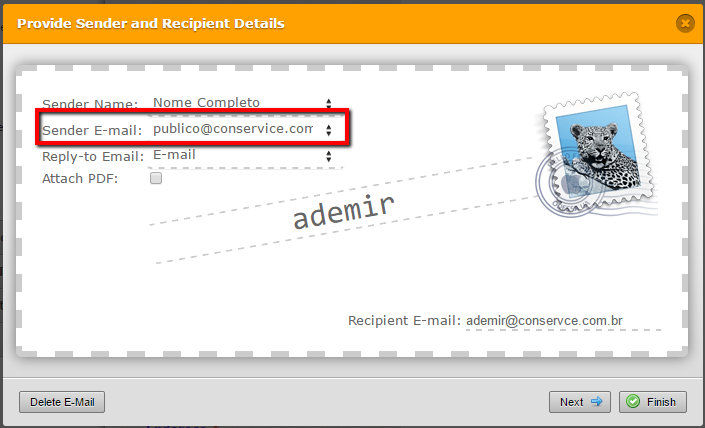 My colleague have already removed the email address ademir@conservice.com.br from our ounce list and you should now receive the submission emails without any problem. I have again verified and the email address is not in bounce list.